As the NBA regular season comes to an end. This Saturday (18th April) sees the start of the NBA Playoffs 2015. This is the crux of the season and the most exciting time for basketball fans as millions of people around the world tune in to watch the best players come head-to-head. We had so much fun at the NBA global games in January 2015 and our favourite celebs where in attendance too, such a the likes of Thierry Henry, Didier Drogba, Cesc Fabregas, Liam Payne, Anthony Joshua, Millie Mackintosh, Little Mix, Idris Elba and many others. So back to the NBA Playoffs 2015. From LeBron James and the Cleveland Cavaliers to Steph Curry and The Golden State Warriors, the NBA Playoffs 2015 looks to be as competitive as ever. The NBA Playoffs 2015 is one of the most exhilarating events in the sporting calendar and for UK fans the Playoff format is a fascinating concept. From a Great Britain perspective, GB star Joel Freeland will be battling with his Portland Trailblazers to help land their first NBA Championship since 1977. Below you will find some merchandise from teams and their key players who have already secured their spot. 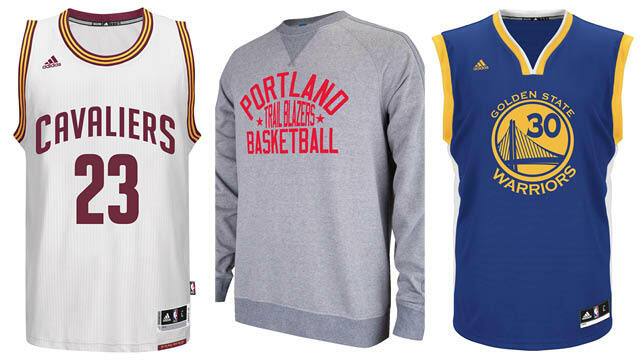 Visit the official NBA store www.nbastore.eu for info. 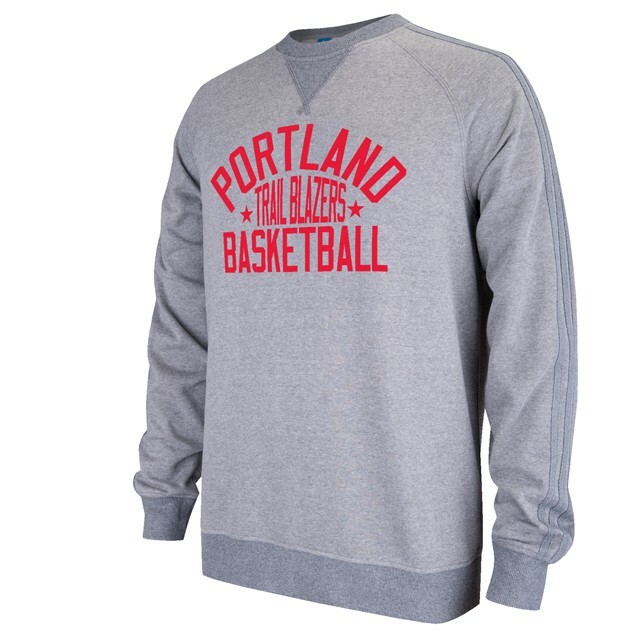 Get behind Great Britain’s Joel Freeland and his Portland Trail Blazers with this sweater. 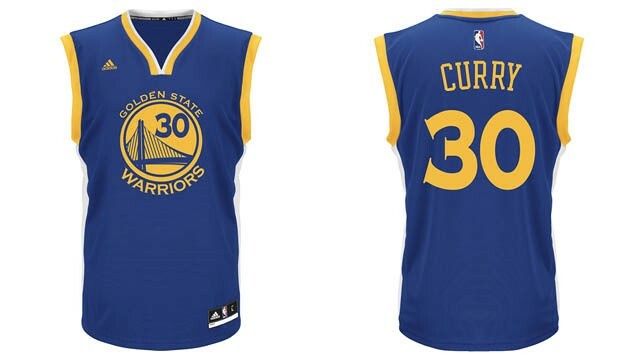 Support the Warriors with Curry’s jersey! 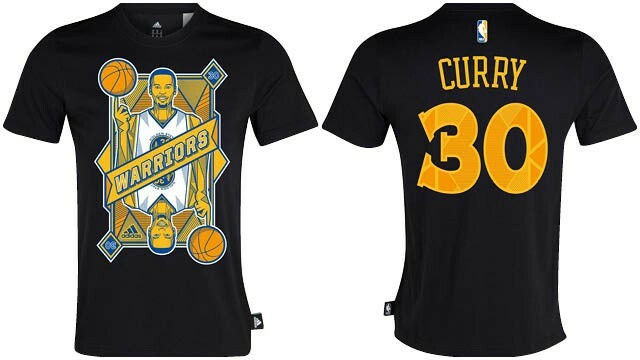 Is Curry the real MVP? Here’s his T just in time for the Playoffs! Fan of the Rockets? 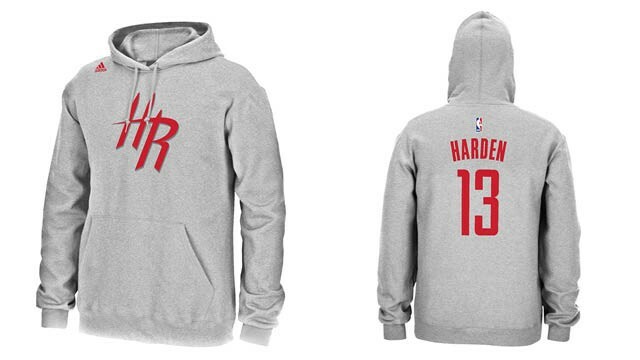 Fan of Harden? 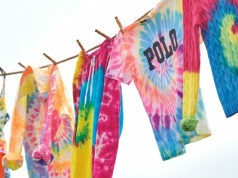 Then you’ll love this hoodie. 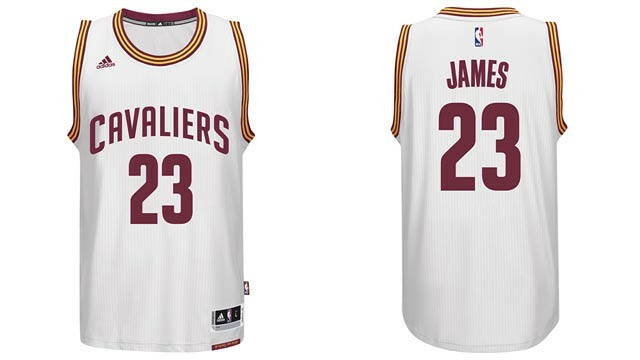 Will LeBron James lead the Cavaliers to their first Championship? Get behind them with this jersey.